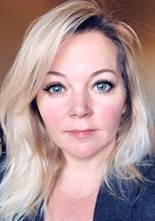 Prior to working for Advantage Credit, Bobbie has been a private investigator since 1997, working on mortgage fraud, insurance fraud, interviews, surveillance, and is Colorado P.O.S.T certified. Bobbie has several years experience as a Mortgage Loan Officer, Subordinations Underwriter and over 5 yrs experience as a mortgage processor. Bobbie lives here in Colorado with her husband and their 3 beautiful girls. Two are grown and living on their own. Bobbie is also a new, but very proud grandparent. She enjoys boxing, racing, airsoft, and spending time with her wonderful family.